sunshine and whimsy. 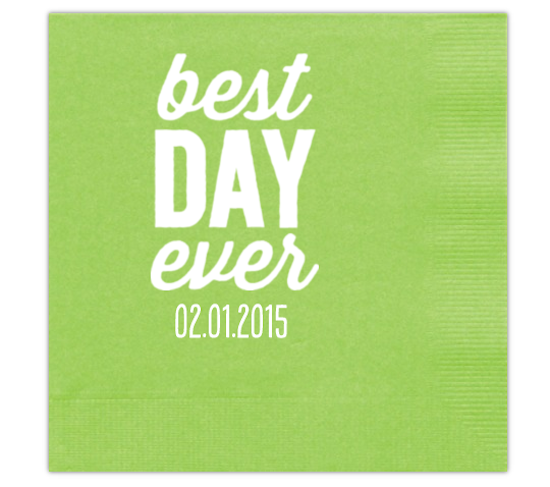 : wedding napkins! 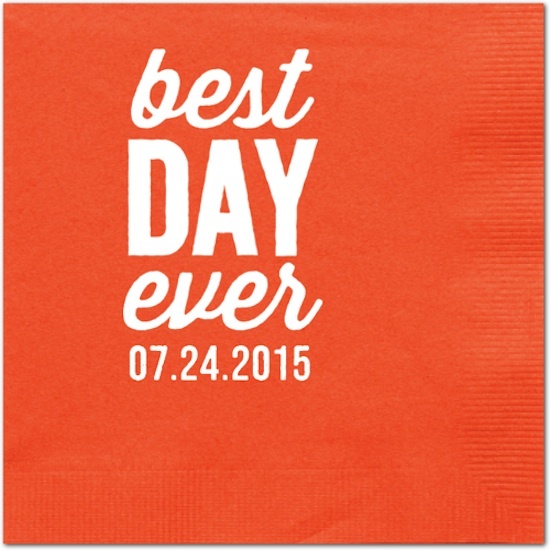 I didn't even know I wanted wedding napkins. The point is, I had thought of napkins, but I thought we'd probably just have plain, boring napkins. Or MAYBE colourful cloth napkins since we're only having approximately 10 guests. 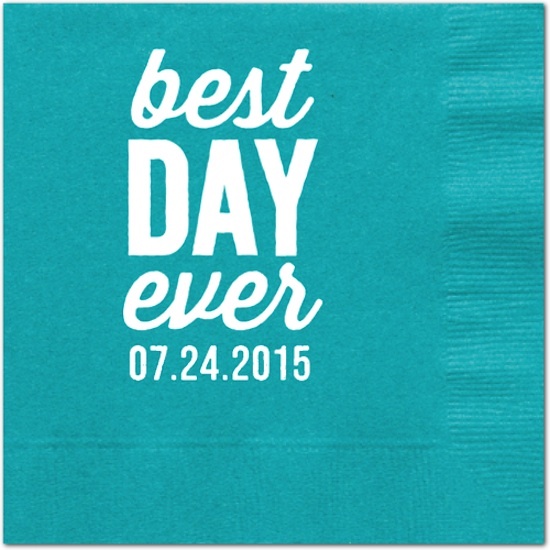 But then I got an email from Tiny Prints and as I was scrolling to delete it, a picture of this napkin caught my eye. I loved it! It is going to be the best day ever!, I thought. I love that bright green!, I thought. 50% off! ?, I thought. T and I ended up choosing "pumpkin" and "teal." (We loved "lime" but realized, Oh, yah. We're getting married in a park. There's already going to be lots of green.) We don't really have wedding colours, per se, unless ALL THE BRIGHT COLOURS count. So my plan is to incorporate them through details like bridesmaid dresses, bouquets, and now... wedding napkins! This is not a sponsored post. I'm just your typical bride engaging in some impulse buying. Plus, I have stationery from Tiny Prints and love it!